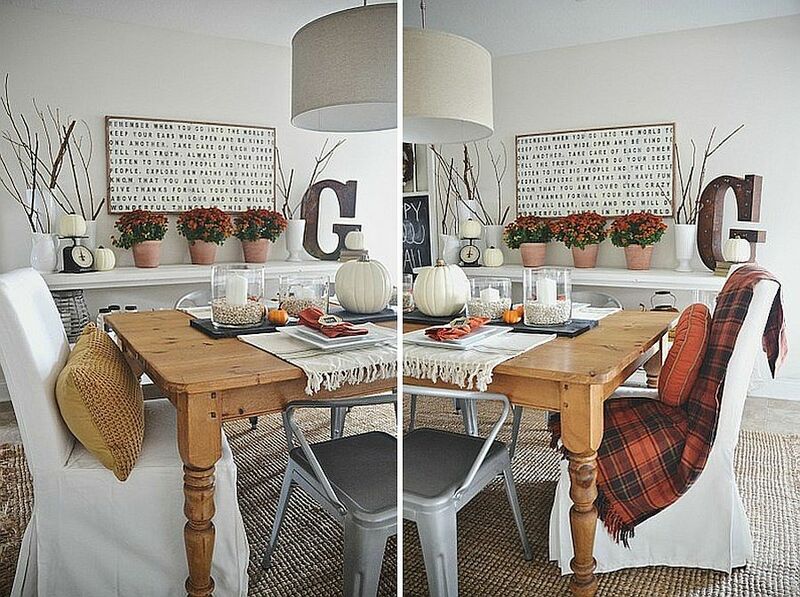 Best Fall-Inspired Dining Room Ideas for the Perfect Host! 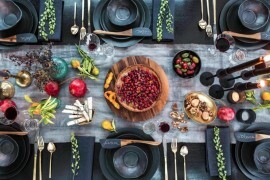 If there is one time of the year that we love more than the festive season and New Year, then it is undoubtedly the weeks leading to big fall festivities. 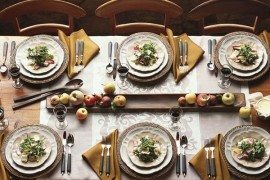 This is the time when you still have plenty of time to get things done and prepare for the many, many parties and dinners ahead. 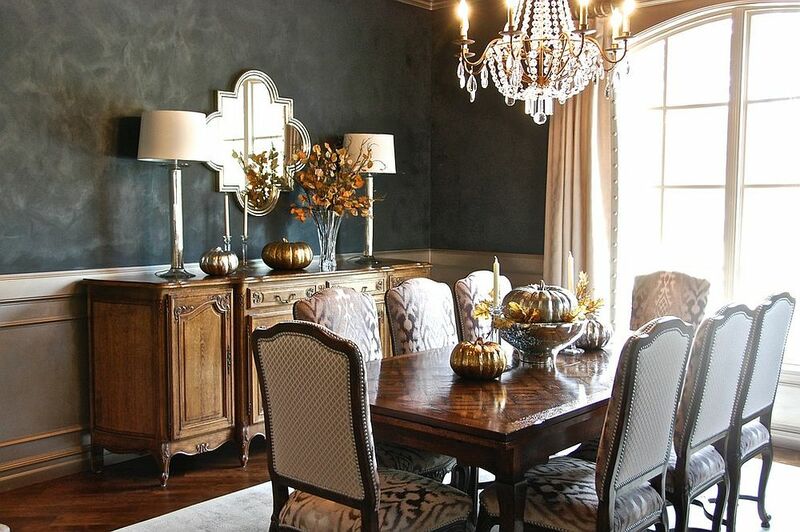 It is the perfect time to redecorate your home, even if it is ever so slightly, and to give it that fall flavor. 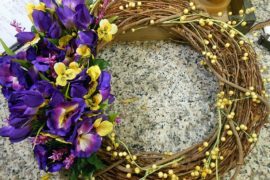 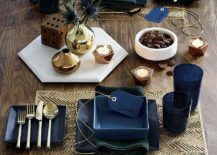 Get the basics right and you will just have to change the accent colors, accessories and festive décor accordingly to swiftly move from Halloween to Thanksgiving to Christmas and New Year. 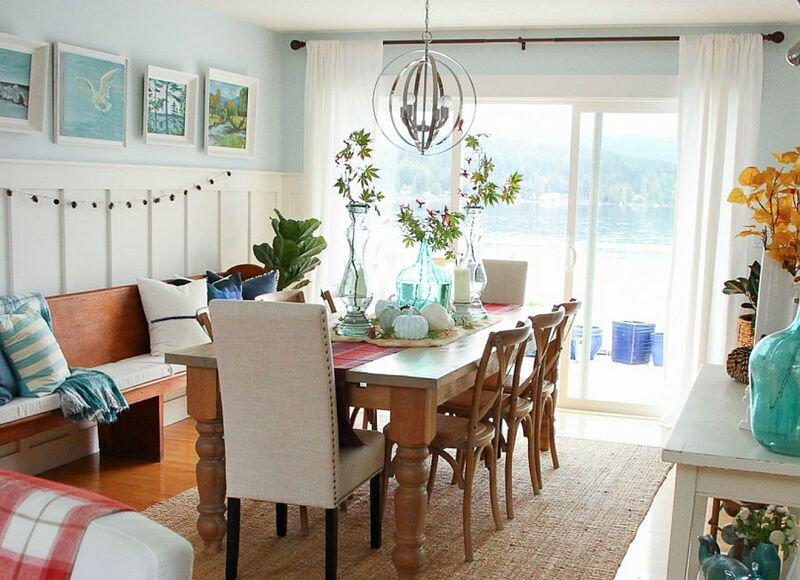 And at the heart of all the frantic activity ahead is the lovely, inviting dining room! 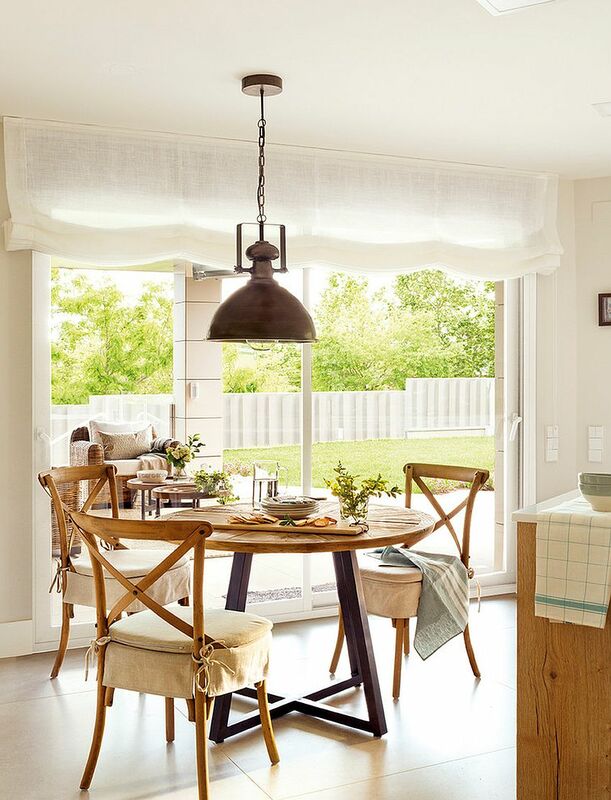 You need not make drastic changes to your existing dining room to dress it up for the festive months ahead. 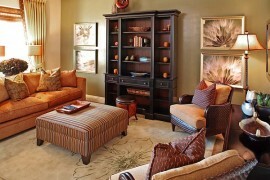 Think of additions that tone down modernity in the room and give it a more nature-centric look. 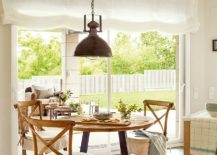 Rattan chairs, bamboo blinds, wall art that brings the greenery outside indoors or even smart pops of burnt orange along with décor items with a distressed finish should do the trick. 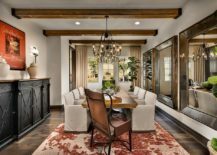 If you have features like exposed wooden beams or weathered wooden walls that have aged well over time, then your task becomes even easier. 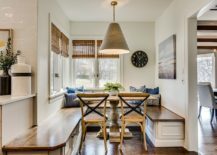 For those looking to bring in a new dining table, try out those in heavy wood or live-edge finds that feel unique and inviting. 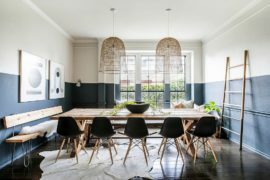 Yes, many of the best fall-inspired dining rooms are ones that are geared towards celebrating Thanksgiving and the weeks leading to the big day. 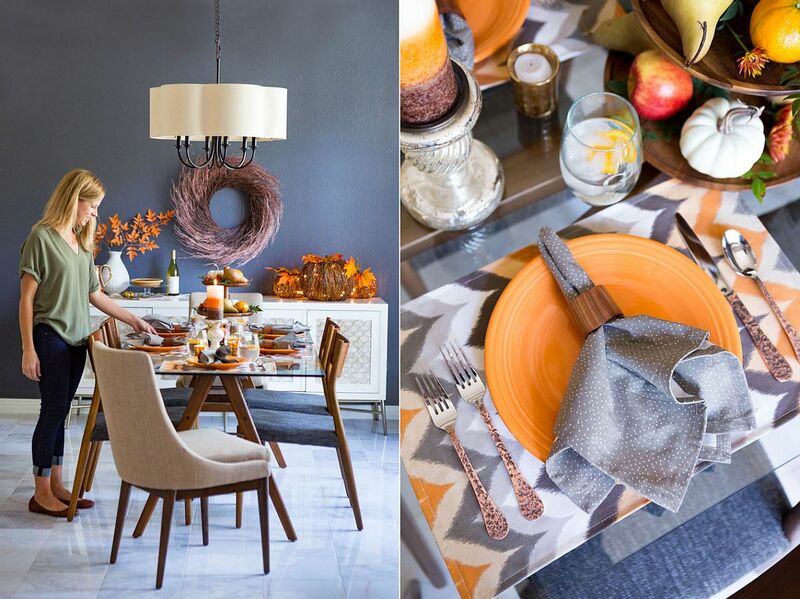 Orange-colored table ware, table runners and other accessories are eternally popular this time of the year. 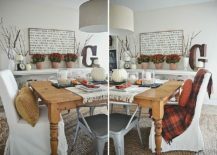 Throw in a few pumpkins, some candles and maybe even local fall produce to create a centerpiece or decorate the fireplace mantel in the dining room and you are pretty much set. 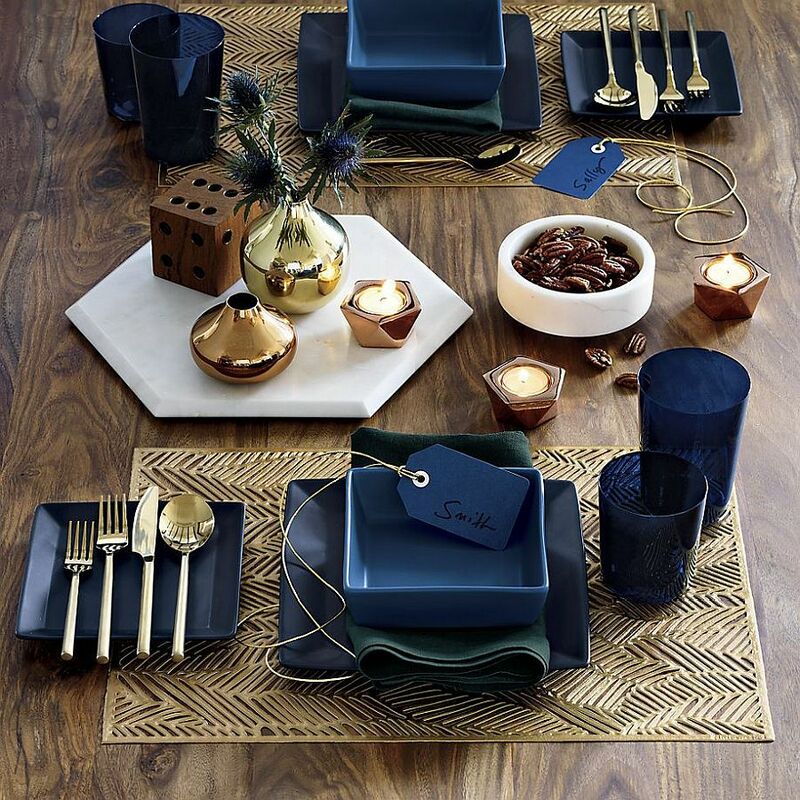 If you are bored with an overload of orange, then give navy blue and bold metallics a shot this fall. 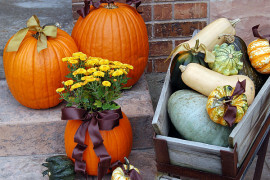 They sure are bound to turn heads while fitting in with a more modern fall-centric theme. 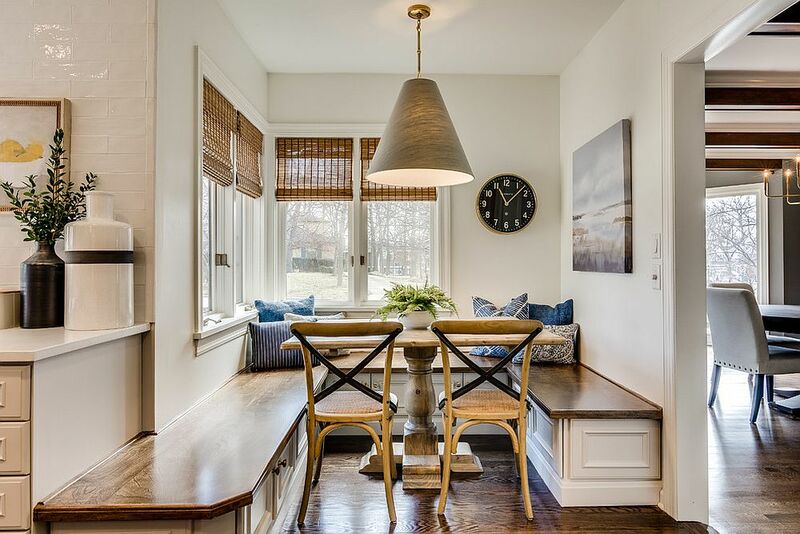 Bored with the monotony of the contemporary dining room? 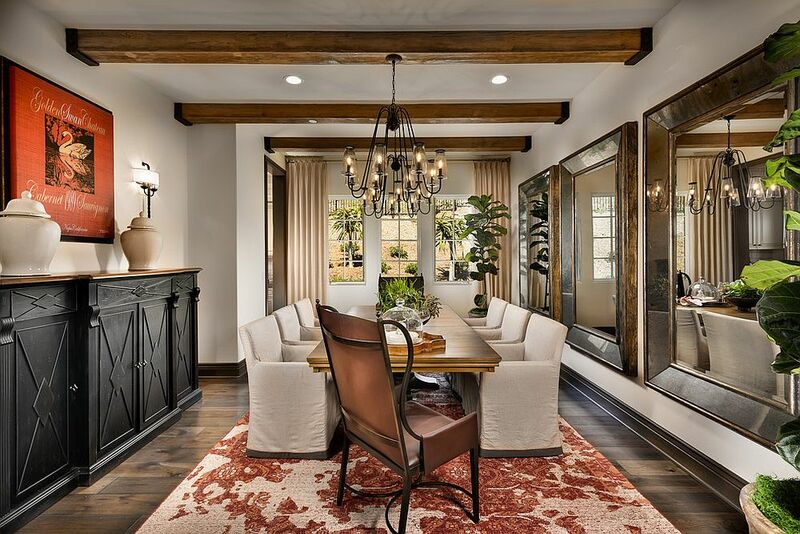 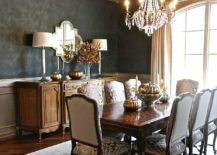 Fall is a great time to shift your alliance and embrace a cozier and more exciting dining room style. 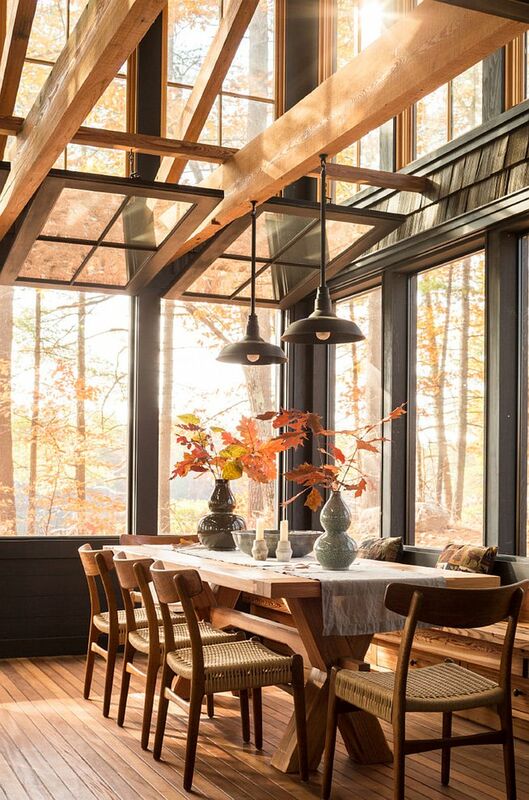 We suggest you try out the modern rustic approach to dining room design before all else. 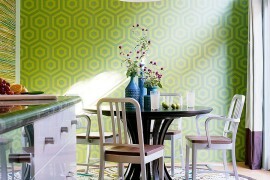 This is a style that currently tops the trends chart and is equally popular in the world of kitchens as well. 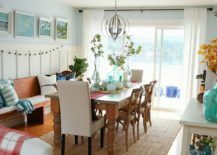 Those who long for a more exotic dining space can give Mediterranean style a shot. 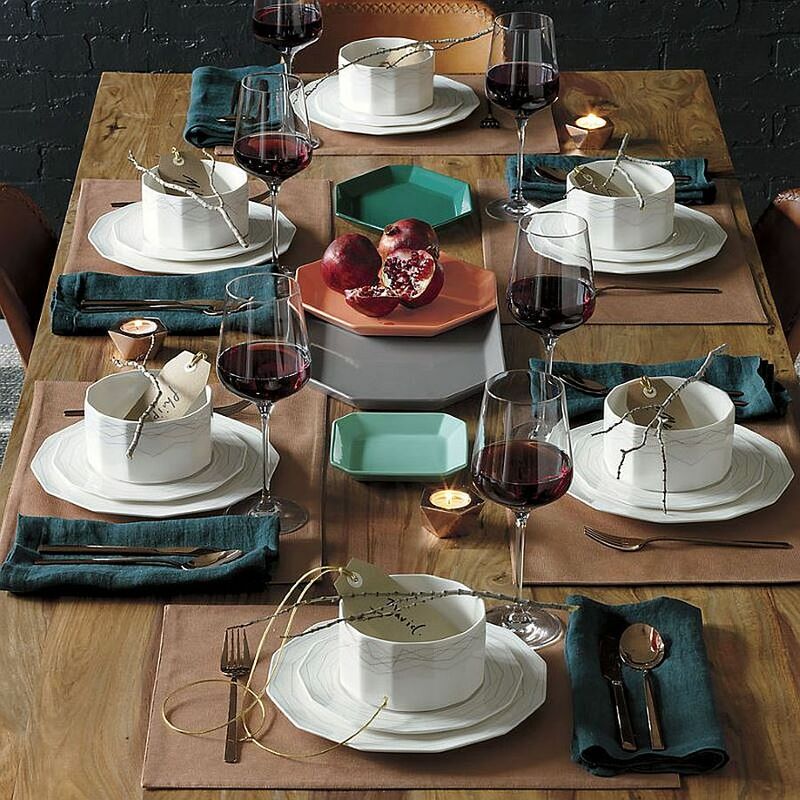 Rich and full of vitality, this is a style which will not let you down. 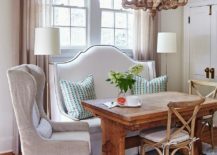 Be it farmhouse, rustic, French Country or just plain traditional, Most classic decorating styles fit in seamlessly with the fall-inspired look.